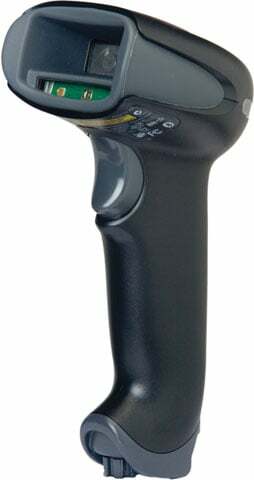 When it comes to choosing a barcode scanner you have an assortment of options at your fingertips. Honeywell has made it a priority to design scanners that function in every environment. 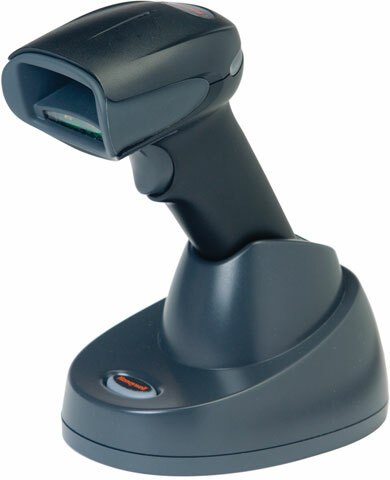 Honeywell’s barcode scanners come in many different shapes, sizes, and functionality. From industrial scanners, pocket scanners, hand-held scanners, hands-free scanners, to many more. The Granit 1280i is an industrial, full-range scanner with the capability to read 1D barcodes up to 54 ft (16.5 m) and as close as 3.5 in (8.9 cm). Can read virtually any linear barcodes from poor quality 7.5 mil paper codes to 100 mil retro-reflective and anything in between. As part of the Granit series of scanners, the 1280i has an IP65 rating making it dust tight and water-resistant. Built to survive 50 drops to concrete from 6.5 ft (2 m) and 5,000 tumbles of 3.2 ft (1 m). Rubberized casing to reduce damage from falls and tumbles. Built for common challenges in different vertical markets and environments. 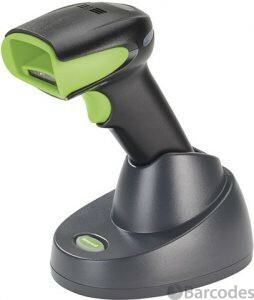 Designed for fast-paced, high-volume barcode scanning. The Xenon 1902g-bf is a battery free wireless area-imager scanner. Combine the freedom of Bluetooth low energy wireless technology with the qualities of the Xenon family and you get an aggressive barcode scanner that can scan even the poorest quality or damaged barcodes. 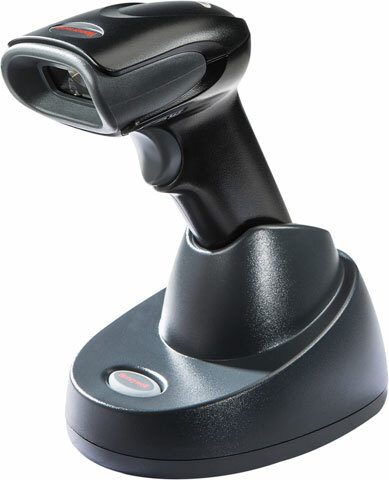 The 1902g-bf has the ability to scan over 450 barcodes on a single charge; it can be recharged in less than 60 seconds via a powered USB port. Need a quick charge? Just place the scanner in the base and in 20 seconds the LED will flash notifying the user of sufficient power to support 100 scans. Fully charges in under two minutes with a simple USB connection, under 60 seconds when a powered USB or External power supply is used. Two independent configurable recharge alerts remind the user to place scanner back on the base for charging. Designed to withstand 50, 6 ft (1.8 m) drops to concrete. Honeywell’s Voyager 1202g-bf and Xenon 1902g-bf both incorporate the latest in battery-free technology, all while offering the freedom of Bluetooth wireless technology and without the long recharge time associated with traditional batteries. Both Scanners deliver aggressive barcode scanning performance even on poor quality or damaged barcodes. The Voyager 1202g-bf Bluetooth technology allows the user the freedom to move around up to 33 feet away from the base in the right environment. It’s an ideal scanner for applications where occasional wireless scanning is a need. Voyager is a plug-and-play scanner that features a multi-interface design with automatic interface detection. The Xenon 1902g-bf offers fast and accurate scanning from up to 33 feet away from the base without the recharge time, expense, and environmental impact of a battery. An ideal scanner for applications centered around POS, workstations, and counters. To make sure you scan the intended barcode when a bunch of barcodes are bunched together – you have Aimer Delay (coupled with Centering) and you have CodeGate (coupled with Centering) – which we have discussed. There is another scanner feature that addresses this problem – “Laser Aimer – Scanning Duration”. It’s a feature in the Honeywell Granit 1280i User Guide, but it also works with other Honeywell area imagers – the Xenon and the other Granit Series. It will also scan if you have it aimed at a barcode. If it’s not aimed at a barcode it will give you X seconds to aim the scanner & pull the trigger before the aimer turns off. You really need to test this! It’s awesome. Here are the directions for testing it. Then go to the back of the Honeywell Xenon/Granit User Guide – page 264 (Programming Chart) – and scan 5000 (5 seconds). Then on page 265 scan “Save”. Barcodes, Inc. was talking to a customer about the Honeywell Xenon 1900’s blistering scanning speed. We hooked up the scanner and put it in its stand which automatically puts the scanner in presentation mode (scanner scans without a trigger pull). The customer did what customers do all the time – started passing the same barcode underneath the scanner over and over. He was not impressed. The scanner seemed sluggish. Here is why – Honeywell programs its scanners to pause for 750 ms (this is the default) before the scanner can reread the same barcode. 750 ms – if my math is correct – is ¾ of a second. This protects against accidental rereads of the same barcode. It can also be used to keep the scanner from reading codes to fast into an application. Barcodes, Inc. explained this to the customer and told them to turn off Reread Delay if they really wanted to see the scanner fly. We explained that the best way to test scanning speed is to put the scanner into a real life environment or scan different barcodes vs the same one over and over. In the user guides are barcodes that set the reread delay to 500 ms, 750 ms, 1,000 ms and 2,000 ms. There is even a barcode that allows the user to set their own time. So why is understanding this so important? It allows your scanner to optimize its scanning speed. Presentation mode gives customers the ability to scan barcodes without having to squeeze any triggers. You “present” the barcode to the scanner and it scans. Presentation mode uses ambient light and scanner illumination to detect barcodes. Presentation Mode. In this mode the scanner’s LEDs remain dim until a bar code is presented to the scanner. When a barcode is presented & detected the LEDs turn up, the aimer turns on, and the scanner scans the bar code. This mode tends to do a better job with bad barcodes. Streaming Presentation Mode: The scanner’s LEDs remain fully on and the scanner is always scanning. When a barcode is presented the aimer turns on and the barcode is “scanned”. This mode tends to scan good barcodes faster. In Streaming Presentation Mode there is even a Normal flavor and an Enhanced flavor. Normal = Good scan speed and the longest working ranges. Enhanced = Fastest scan speed but less range. If you have trouble identifying your barcode types (like me) – here is a trick for you. Plug your scanner into your PC. Then scan the barcode in question. You’ll see a character in front of the scanned data on your Word doc (or any app that displays scanned data). Go to the section of the chart below (Linear, 2D, Postal) then to the fourth column titled “ID” under Honeywell; find your symbol; and your barcode type is in the first column – Symbology. This chart is also in the back of the Xenon/Granit User’s Guide. Note: This setting is temporary and will be removed when the unit is power cycled. A by-product when you turn down the power output is reduced range between the scanner and its base/access point/host. I get asked a lot about the Bluetooth ranges at those power levels – scanner to base station. So I tested several scanners (because I am a scan-nerd), and here is what I found. Measurements are approximation – RF isn’t exact. Also – I stopped at 100 feet because that’s how big my yard is…and because I’ve never seen an application that requires the Xenon to scan that far from the base station. Bottom line is that if you are really concerned about RF interference, don’t be afraid to turn down the power on the Xenon & Granit. They’ll still have plenty of range. That being said, in the vast majority of cases, the interference has nothing to do with the Bluetooth scanner. Adaptability is a necessity in healthcare. Every clinician has a wide variety of daily tasks and responsibilities to ensure quality patient care. As such, data collection tools need to be just as adaptable as their users. With the Xenon 1902h, such adaptability is not only possible, it is also easy to implement and change to support varied clinician workflows. A typical standard scanner provides a loud, audible “beep” to indicate a “good read.” While this kind of operator feedback is widely understood, it can be highly disruptive in certain environments; say, during night time operations in an inpatient recovery ward. In these environments, maintaining patient comfort while keeping clinicians productive can be a challenge. That is why our Enhanced Xenon 1902h includes a quick-toggle mode we call Patient Do-Not-Disturb. In this mode, audible feedback is disabled and replaced by additional visual display options that provide positive status indication to the clinician—without disturbing resting patients. Select from multiple silent status indication options, including pulsing of the scanning aimer/imager and/or activation of the back-mounted status LEDs. Best-in-class healthcare organizations are looking to cordless scanners for their next deployment, but not just for the obvious reasons. 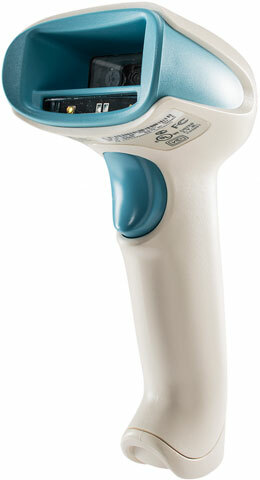 The latest generation of cordless healthcare scanners bring with them unique technologies that can truly transform common clinician workflows, making nurse’s more productive and focused, while enabling a higher degree of patient safety. Freedom of movement around patients, family members, and expensive equipment—particularly in congested patient wards or ICUs—is a continued challenge for today’s clinician. As more and more technology is packed into the modern-day patient room, free space comes at a premium. Tethering a scanner to a wall-mounted computer or to a workstation-on-wheels (WoW) cart just does not meet the needs of today’ on-the-move nurse. Not every monitor, IV bag, infusion pump, or oxygen line with a barcode is going to be located next to the workstation, so taking the scanner to the barcode is a necessity. A capability currently found only in the cordless Xenon healthcare scanners, presentation mode scanning is dramatically faster than point-and shoot scanning. Eliminating the need to aim and pull the trigger on each scan, presentation mode scanning instead allows the clinician to “present” the items to the scanner. Xenon’s high performance sensors automatically detect objects in its field of view and rapidly scans regardless of angle, orientation, symbology or background material. 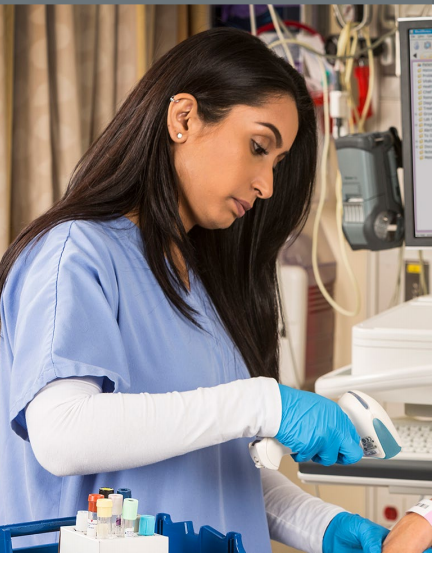 A creative group of nurses are helping Honeywell uncover better ways to use barcode printers and scanners at the bedside. In the past, it was common to see barcode scanners mounted on workstation-on-wheel (WoW) carts behind the display and out of the way. 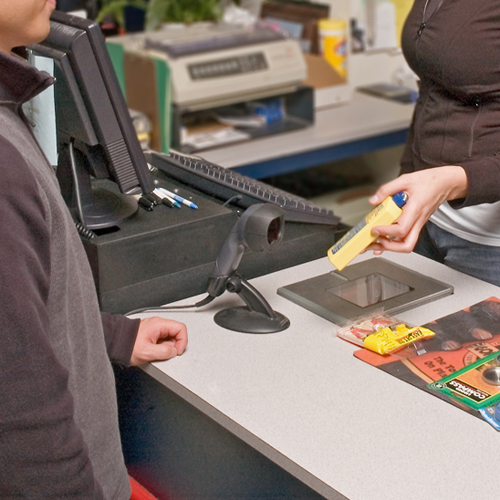 It made perfect sense at a time when reading barcodes was a new and relatively uncommon task. Today, the frequency of reading barcodes at the bedside has dramatically increased and—with Meaningful Use Stage 2—this trend will continue. 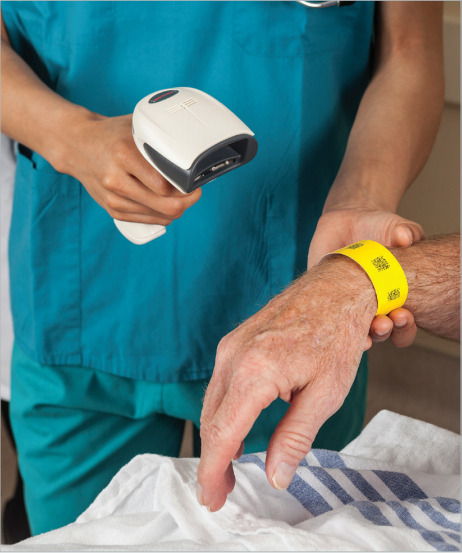 Nurses using Honeywell’s Xenon cordless barcode scanner quickly discovered that mounting it in an elevated, forward-facing orientation allowed them to fully benefit from the scanner’s “presentation mode” feature. Just like the built-in scanners found at the grocery store, presentation mode scanning is faster because it eliminates the need to squeeze the trigger, and frees up the second hand for quickly handling items.